What does TTIP Mean for Your Business? 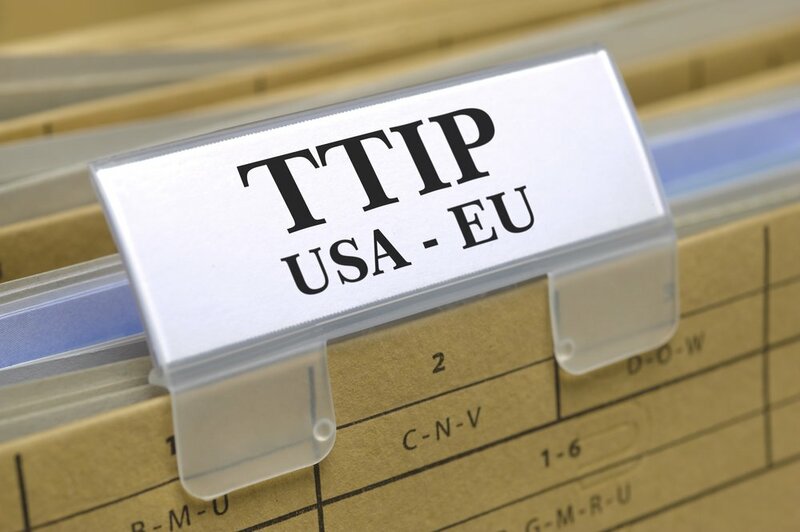 In June 2013 the European Commission and the U.S. government commenced negotiations for the Transatlantic Trade and Investment Partnership (TTIP), a proposed free trade agreement between two of world’s largest economic and political partners. If weathered through the political storms, TTIP would replace the North American Free Trade Agreement (NAFTA) as the world’s largest free trade area, with a combined GDP of $31 trillion. Commonly eclipsed in the public mindset by the zenith of the emerging markets, BRICS and especially China, U.S. investment in the Eurozone is actually three times greater than in the whole of Asia, and the EU investment in the U.S. is an overwhelming eight times greater than that in India and China combined! The U.S. and EU, aside from the historic legacy of geopolitical cooperation, are the largest trading partners of most other countries in the world and represent a third of world trade flows. According to the Office of United States Trade Representative’s report, TTIP would result in the annual EU GDP growth of EUR 68 to EUR 119 billion and U.S. GDP growth of USD 57 to USD 108 billion by 2027. If shared equally among the affected populations, this growth would hypothetically translate into additional annual disposable income for a family of four of â‚¬545 in the Eurozone and $746 in the U.S. respectively. Once fully implemented, TTIP is expected to increase economic and labor productivity to a projected gain of over two million extra jobs across the Atlantic, a particularly important relief to the cash-strapped Eurozone, exhausted from the unpopular austerity measures. In today’s post-recession world, where low growth is the new normal, TTIP may be the long-awaited jolt to stimulate the transatlantic economy, offering possibilities, nurturing growth, improving competitiveness, adaptability and eliminating roadblocks to a vibrant assortment of players, from SMEs to Big Business of various industries and sectors. Global normative convergence and the proverbial “leveling of the playing field” for businesses and states alike, a goal shared by many, from the architects of the World Trade Organization to the market economy converts from the Eastern Bloc or the dynamic and oftentimes volatile Global South, is once again emphasized as a fundamental principle of global interconnected economy. Enterprises currently engaged in markets across the Atlantic or those planning to take that geographic leap are set to reap the rewards of TTIP and its market liberalization agenda. However, the headwinds from TTIP are likely to reach many corners of the global economy as well as its many diverse players, from a small equipment manufacturer in Denmark now being able to save thousands from not having to duplicate testing and approval procedures for its export materials, to suppliers in Asia inadvertently forced to improve their quality practices to match what is becoming not just a regional but an increasingly international benchmark. Some analysts argue that TTIP is the transatlantic best friends’ pre-emptive attack on the younger and zestier BRICS in an attempt to “rebalance” the global economy to the disadvantage of the emerging economies. The “rebalancing” strategy is perceived as an especially viable threat to China’s EU and US exports, an alleged counter-measure to China’s phenomenal growth, capable of marginalizing the country’s position in the global markets. In an alternative view, despite the initial challenges, the enormity of TTIP and its ambitious strategic intents will present a significant “spillover effect” on the international trade patterns by promoting a further low-cost market environment. According to a European Union report, by harmonizing standards between the United States and the Eurozone, TTIP will contribute 100 billion euros to GDP growth in the rest of the world chiefly through the easy access granted to third-country products. Thus, a medical device manufacturer from a third country whose products enter the Eurozone market will automatically satisfy American industry standards, saving substantially on product development, manufacturing, and marketing. What Does This Mean For Your Enterprise? If you are in the U.S. or the Eurozone, ensure that your business is ready for the challenges and opportunities accompanying TTIP. Look inwards – assess your organization’s R&D and product development procedures for efficiency gaps ““ these areas in your organization are most directly affected by TTIP. Which licenses, patents or certifications will be deemed redundant by TTIP? How will you allocate the surplus licensing and certification budget? Will TTIP precipitate any pertinent organizational enterprise changes? Will you remain cost-effective? Will there be significant changes to your business model and your entire modus operandi? Embrace the new customers ““ entering new markets is often a thrilling endeavor, albeit one requiring thorough market knowledge and comprehensive market entry strategy. Who are your new potential customers? What strategies should you employ to win their business and loyalty? Protect the domestic market ““ assess the situation at home. Just as you are gearing up to explore the horizons of a new market so do your competitors across the pond. How solid is your customer rapport and your local value proposition? What incentives can you offer to keep your existing clients? Mind the competition ““ lower barriers to entry provide not only ample opportunities but also an assortment of direct and indirect competitors, both at home and in the new marketplace across the Atlantic. Who are your new competitors and how will they affect your go-to-market aspirations? How will you protect your existing marketspace from these external challenges? It is not too late to influence the outcome ““ participate in the ongoing public consultations on TTIP negotiations and take the opportunity to voice your concerns and insights in a transparent discourse. Look to your industry peers, associations and relevant regulatory bodies for insights. If you are in the emerging economies, do not succumb to the lure of speculation or panic. Instead, focus on enhancing your competitive advantage in light of the liberalized regulatory environment and lowered trade barriers. What do you do well? What can be done better? How does your product quality and internal benchmarks measure up with those of the transatlantic marketplace? What steps can you take to improve product quality and production standards to their level? What government agencies can you lobby to foster your industry’s competitiveness in the global economy? Conversely, how can you diversify your client portfolio as to defend your organization against the possible negative effects of closer transatlantic relationship? Free-trade agreements, due to their political and often ideological nature, are nearly always shrouded in speculation and controversy, some of them raising salient questions while others plagued with misinformed inaccuracies. Navigating these treacherous waters armed with competent and comprehensive Market Intelligence will enhance your company’s chances of drowning out the noise and getting ahead in the new regulatory climate. Keep Calm and Navigate Brazil’s Waters! If you liked this blog post, you might be interested in subscribing to our RSS feed. By subscribing you will be the first one to hear about the growing number of ways to benefit from market intelligence. We also like meeting our blog readers on Twitter, Facebook and LinkedIn!